The exhibition, Soldiers at Stonehenge: Salisbury Plain and the journey to the First World War, will delve into the story of the estimated one million men who, between 1914 and 1918, were battle hardened at Stonehenge. Records show 180,000 men were stationed at any one time on the plain during the First World War. Their personal stories, photographs and original objects will form the basis of the exhibition but evidence of their presence can still be seen across the wider Stonehenge and Salisbury Plain landscape. Robert Campbell, head of interpretation at English Heritage, which is staging the exhibition, said: "The task of these men was to overcome the horrific stalemate of trench warfare and to replicate conditions on the Western Front, soldiers dug intricate networks of trenches which were then pounded by shellfire. The exhibition will explore this aspect." The war left its mark on the ancient archaeology of Salisbury Plain and the exhibition includes finds on loan from Wiltshire Museum including cap badges, rifle cartridges, aircraft parts and highly personal items such as a spoon and even part of a bottle of Australian hair tonic. The war and the training camps have become part of the fabric of the modern history of Stonehenge with the human stories that emerged. When the war broke out the site of the monument was owned by the Antrobus family. Lieutenant Edmund Antrobus, was the heir to Stonehenge, was killed in action at Ypres. His father, also Edmund, had been a professional soldier and had inherited Stonehenge as part of the Amesbury Abbey estate in 1899. He died soon after his son. The death of owner and heir to Stonehenge led, in part to the monument being put up for sale at auction in 1915. It was bought by Cecil Chubb, a local barrister, who was the last person to privately own it. 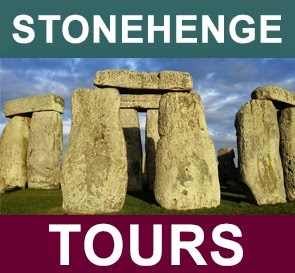 The exhibition is on for six months and admission is included in the Stonehenge entry price. Grand, centuries-old cathedrals distinguish Great Britain's cities and towns, providing spiritual nourishment to those who visit. These places of worship seem ancient almost beyond imagination. 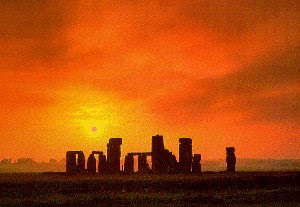 But long before Gothic cathedrals ... long before recorded history even, Britain's stone circles were this land's sacred spots. 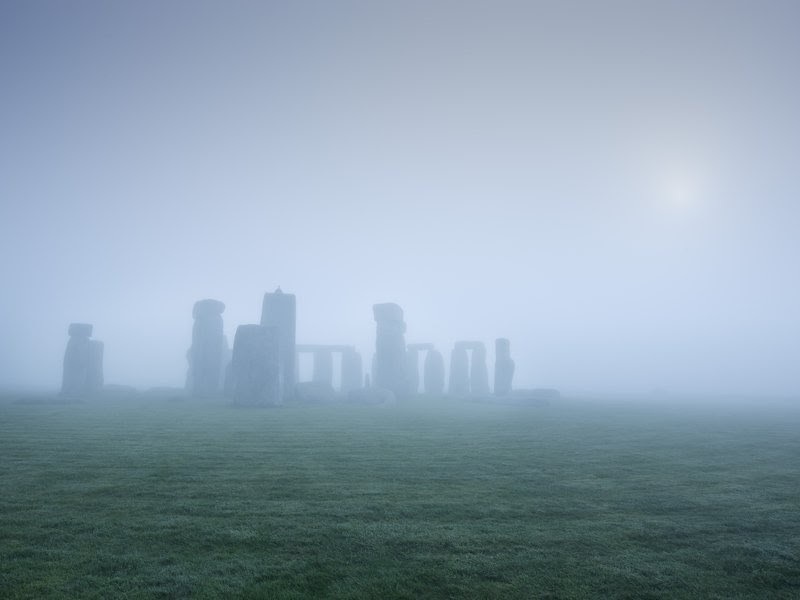 While Stonehenge is viewable only from a distance, Britain is dotted with roughly 800 lesser-known stone circles. A favorite is Avebury. Just 19 miles north of Stonehenge, it's 16 times as big. 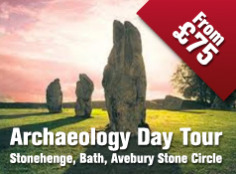 And Avebury is a megalithic playground, welcoming kids, sheepand anyone interested in a more hands-on experience. 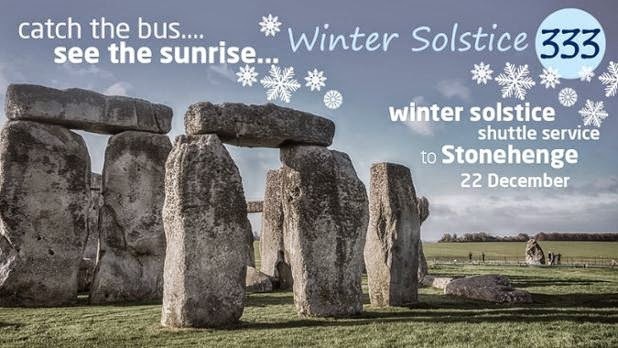 Visitors are free to wander among its 100 stones, ditches, mounds, and curious patterns from the past, as well as stroll in the village of Avebury, which grew up around and even within this fascinating 1,400-foot-wide Neolithic circle. In the moorlands of southwest England, smaller stone circles composed of weathered craggy rocks are even more evocative. (Good local maps mark them.) Windswept and desolate, Dartmoor National Park has more of these than any other chunk in the country. On one visit, I trekked from the hamlet of Gidleigh through a foggy world of scrub brush and scraggy-haired goats on a mission to find a 4,000-year-old circle of stone. Venturing in the pristine vastness of Dartmoor, I sank into the powerful, mystical moorland — a world of greenery, eerie wind, white rocks, and birds singing but unseen. Climbing over a hill, surrounded by sleeping towers of ragged, moss-fringed granite, I was swallowed up. Hills followed hills followed hills — green growing gray in the murk. Rick Steves writes European travel guidebooks and hosts travel shows on public television and public radio. E-mail him at rick@ricksteves.com and follow his blog on Facebook. 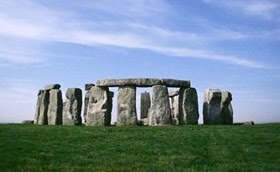 Five Neolithic homes have been constructed at Stonehenge to help reveal how those who built the famous stone structure would have lived 4,500 years ago. The houses have the walls made of white chalk and a thatched roof of straw daub and wheat, and are based on remains of such buildings found under a mile away at Durrington Walls. Each house is made up of a single room around 5m across, with a fire at the centre with the smoke filtered up through the roof. 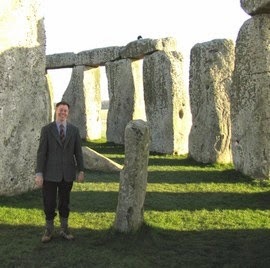 “One of the things we’re trying to do at Stonehenge is to re-connect the ancient stones with the people that lived and worked in the surrounding landscape. 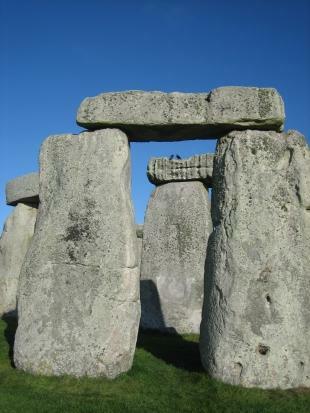 Stonehenge may have been used as a giant musical instrument, according to a study. Researchers from the Royal College of Art discovered that the central Blue Stones, which originated in South Wales, had musical tones when struck. The theory could explain why the stones were arranged in a circle - so the sound would resonate. Paul Devereux, who part led the study, told BBC Radio 5 live's Drive: "We do know such rocks were deemed very important in other parts of the ancient world."